Do we really only have to worry about old steam engines, or should we be careful around the sleek shiny new trains as well? 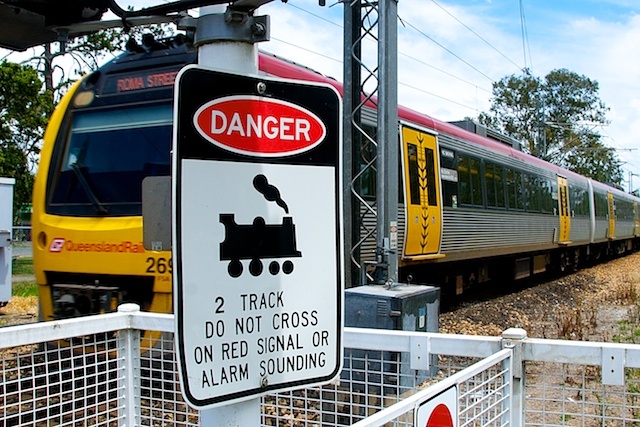 Just this last few days a girl (12) and a couple of friends were crossing rail tracks at a crossing near Newcastle, N England when she was hit by a glancing blow. The girls arm was torn off and surgeons may have saved it after 6 hours of surgery, its too soon to tell. I mostly encounter crossings in a vehicle but even then I treat them with caution. One month till Santa comes.